A few months ago, the internet marketing world was abuzz with worries about Google’s update to its mobile search algorithms. There was talk about “Mobilegeddon” and the devastation of website traffic on almost every news outlet, though other marketing site (like this one) said these worries were overblown. Early reports after the algorithm update seemed to confirm the point of view that change wasn’t as devasting as people were led to believe. Now, Adobe has released its first quarterly report on search advertising since the mobile algorithm update which provides more hard evidence about what the true effects of the update were. 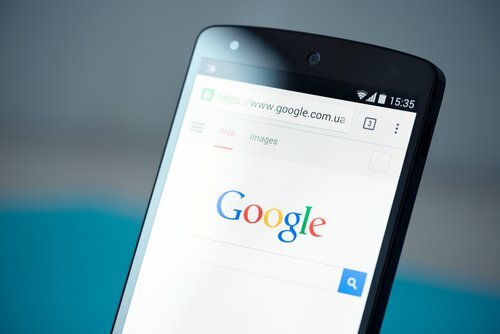 As one would suspect, the quarterly Adobe Digital Advertising Report shows that Google’s mobile algorithm update did affect the traffic on sites that weren’t mobile friendly by Google’s standards. Some changes in in traffic based on a site’s mobile friendliness is to be expected, but they were less severe than many would have thought. According to the report, organic traffic to sites with low mobile engagement (which presumably means these sites fail the Google mobile-friendliness test) fell by as much as 10 percent. A 10 percent drop in anything is nothing to scoff at, but this was the upper limit. To put it another way, most sites mobile unfriendly sites only saw a single-digit percentage decline in their traffic. A decline in traffic, it is; “mobilegeddon” it is not. That’s not to say that a decline in traffic doesn’t affect the site. A drop in visitors means lost ad revenue for content producers, fewers referrals for B2B marketers and less sales for online retailers. The Adobe report also found that having a mobile unfriendly site led to increase in advertiser’s cost per click (CPCs) and click through rates (CTRs). In a sense, ad buyers paid more to get ad’s shown for mobile unfriendly sites. The report notes a 16 percent increase in the mobile unfriendly sites’ CPCs as advertisers with better Quality Scores are prioritized over those deemed to have less relevant content. This led to a 9 percent decrease in click-through rates for these ads. The declines suffered by mobile unfriendly sites are made all the more striking by the increases that had been seen search traffic overall. The researchers found there was a 1-2 percent rise in search traffic compared to the previous quarter, so sites losing any traffic in the last quarter are doing worse than they should. Similarly, a declining click through rate is disappointing at a time when display ads click-through rates are 24 percent over the last year. It should be noted that a part of the increase in click-through rates is attributed to a decline in the number of ads being served. The ads served being reduced by 22 percent compared to the same time last year. Presumably, ad networks are doing a better job of getting sites to display fewer ads, but better targeting the ads they do serve. Adobe says it will take effort and innovation in mobile marketing in order for business owner to truly utilize the devices for their business. “While optimizing the mobile experience improves RPV, it will take new innovation around IoT, sensors, NFC, beacons etc to fully realize the potential of mobile,” the researchers wrote in the report. What is clear from this report is that there is a definite disadvantage to sites that are still mobile unfriendly by Google’s standard. It will cost the site traffic and increase the cost of advertising. A single digit percent decline in traffic isn’t the end of the world for a website, but it’s still something that website owners and businesses should avoid. For more information about mobile friendly sites, read this article with some stats that show why mobile matters for business.